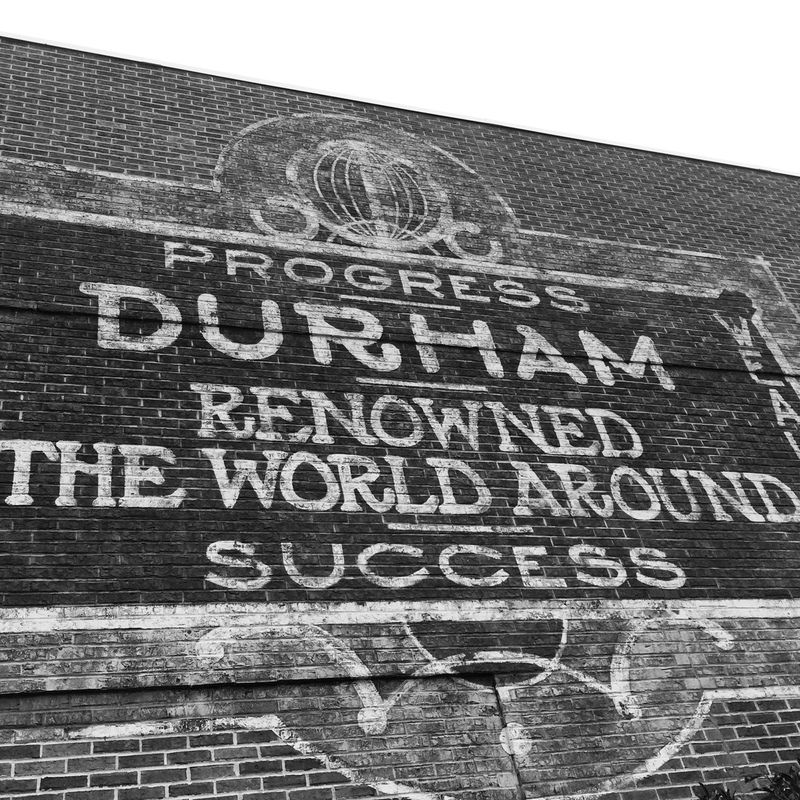 If you asked me to sum up Durham in one pic­ture, this would be it. A catchy mot­to, a hint of charm, and a beau­ti­ful brick-and-paint­brush­es appre­ci­a­tion of the past, all while eager­ly pur­su­ing the future. It also looks real­ly cool. To see this mur­al in real life, vis­it The Streets at South­point on Fayet­teville Rd. They have a won­der­ful col­lec­tions of vin­tage-style murals that you can appre­ci­ate while wait­ing for a movie or grab­bing a bite. Dia of Shoe­string Adven­tur­ing here, ambush­ing your dash for a moment of city pride.